Is a month of respectful/stunned silence enough? I’m gonna miss the Brode. He brought a level of enthusiasm that was just amazing. Not unlike Metzen. Probably more than Metzen come to think of it. I’m gonna miss that guy. I’ve made it through all of the Monster Hunts and taken down Hagatha. I’m considering switching from witchwood packs to classic. More longevity, and I’m about as likely to draw dust from one as I am the other....... but there’s still a couple Witchwood cards I kinda want. -New keyword: Magnetic. If you have a mech on the board, playing a minion with magnetic will cause the two to fuse into new, more powerful version of the mech card. -Project cards: Incredibly powerful cards whose effects benefit both players. -Omega Project: Cards that have an additional, incredibly overpowered, effect if played for ten mana crystals instead of their normal cost. -Puzzle Mode: A new single player mode that "puts your analytical skills to the test." 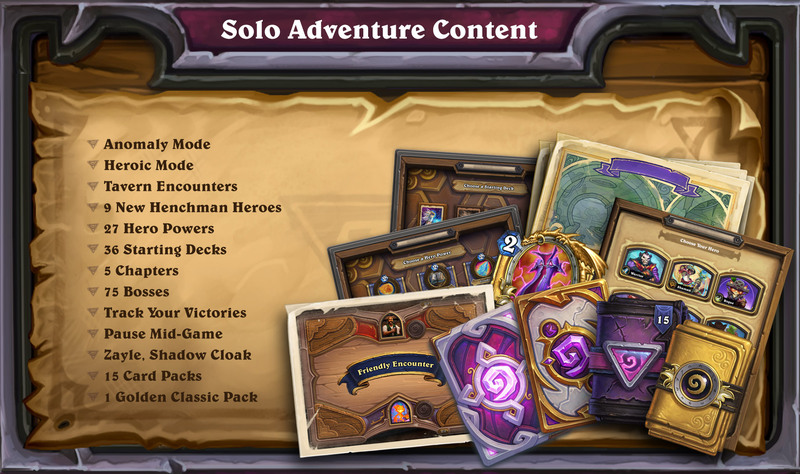 Last edited by Insane Guy of Doom; 07-10-2018 at 01:26 PM..
Can't say I have much interest in this particular expansion's theme, to be honest. Based on the teasers, I was hoping for a slightly more serious expansion based on Netherstorm in general (the Sunfury, the naaru, the ethereals, the Burning Legion, the animals of the eco-domes, etc. ), but instead they based the main premise of the expansion around Dr. Boom. Of course, there are 130 cards we haven't seen yet and there's still plenty of time for Dimensius or Kael'thas to show up, but I can't say I have particularly high hopes. Teaser Image: Red Parrot with a pirate hat carrying a banner with a shark(?) on it with a jungle in the background. Could be Booty Bay/Stranglethorn. Anyone else think it could’ve cool to see legendary cards based on the Island Expedition teams? The "first-ever year long storyline." Instead of three separate expansions, each one will continue the story of The League of E.V.I.L. In Rise of Shadows, the League lays siege to Dalaran. -New keyword: Twinspell. Using a card with Twinspell adds a copy of the card to your hand. You can use it the same turn (if you have the mana) or save it for later. -Lackeys: special 1/1 minions that are completely expendable but have very powerful battlecry effects to make up for it. -Callback cards: New cards that have the same effects as ones from previous, retired to Wild expansions. -Schemes: unique spells that grow in power with each turn. -Five-Part Solo Adventure: they had to make a whole chart of what it includes. Chapter 1 is free, following chapters cost $19.99 each. Such moneygrubbing BS, especially the callback cards. I am so glad I quit this game. Lol what? Reprinting cards is the most common thing ever in card games. It allows to bring back cards that have rotated out. MtG does it all the time and it's great. MtG also isn't exclusively digital, so it becomes difficult to get your hands on old cards that are no longer being printed. This is not the case with HS. They could just as well have decided to bring those cards back from retirement, instead of forcing players to earn cards they technically already own a second time if they wish to use them. From my understanding of the video, callback cards arent functional reprints but are using mechanics from older sets (forbidden cycle for example). Though if it is direct reprints, please let me know. It seems like they are cards with vaguely familiar but different names with similar mechanics that are essentially different enough. It's like Marin the Fox and Elise Starseeker with the "Golden Monkey" and "Golden Kobold". I could be wrong but that's what I gather anyway.